Schools will be closed for the Presidents Day holiday on Monday, Feb. 18, but 14 Mansfield Senior High athletes will volunteer their time to encourage young children to read. The Tygers will participate in the Big Red Bookshelf Event from 11 a.m. to 1 p.m. at the Richland Carrousel in downtown Mansfield. The Big Red Bookshelf, an initiative of United Way of Richland County, provides new or gently used books to children up to third grade. Donated books are displayed on bright red bookshelves built by volunteers and distributed free of charge to children who need them. The Richland Carrousel event will feature a reading of the book “Groovey Joe,” with a copy provided to each child. Free lunch and free carrousel rides will be provided. Tyger athletes who have volunteered to help include Addyson VanHouten, Sarah Wayman, Joshua Lyons, Karmen Peterson, Aiden Crider, Kelsi Spayde, Alexia Gerber, Abygale Wilcox, Mikayla Gibson, Alyssa Debo, Ben Miller and Cameron Todd. Anthony Olivieri and Ben Olivieri will participate if swimming is finished. Books placed at Big Red Bookshelf sites are donated by businesses and community members. Since February 2013, more than 8,500 books have been distributed, according to the United Way website. 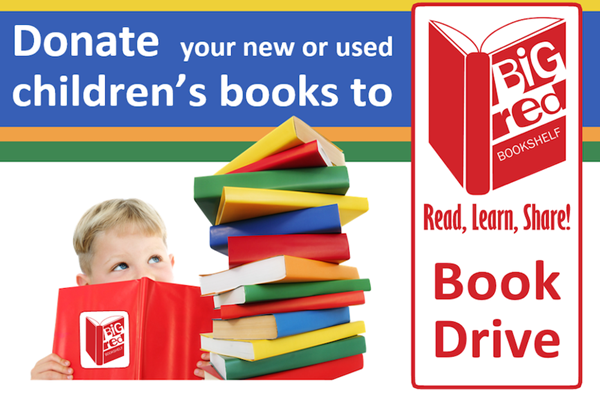 Anyone interested in hosting a book drive may contact the United Way office at 419-525-2816.